Why are we so hesitant to use epinephrine? I don’t know anyone who analyzes the severity of a headache before taking medicine for it. Same goes for seasonal allergies, upset stomach, and back pain, none of which (without other major symptoms) cause death. So then why have we been making it so difficult to determine when to take epinephrine? We’re scared to use a needle. The only difference between how antihistamine is administered and how epinephrine is administered is that one can be swallowed and one needs to be injected. I frequently hear of stories where antihistamine (Allegra, Benadryl, Claritin, Zyrtec) was used in an attempt to help with anaphylaxis. This needs to stop. Antihistamine WILL NOT reverse the effects of anaphylaxis. We’ve been told to look for two symptoms. We’ve been told to use other medications. We’ve been told many different things from doctors, nurses, and others about what to look for to determine if epinephrine is needed and if anaphylaxis is occurring. Many of us have also been told to react differently by different allergists and are now even more confused than before. The line of ‘when to use epinephrine’ has become so fuzzy that it is now working against us. Fear and inaccurate information can cause doubt. This is the voice inside your head that questions your choices. It causes lack of confidence in the situation and poor decision making. We need to overcome our fears, obtain updated allergy action plans, be prepared, and have confidence! or a combination of mild or severe symptoms from different body areas. When in doubt, give epinephrine. Print the entire Food Allergy & Anaphylaxis Emergency Care Plan here. *Please click on link above to get all of the information provided by FARE in regards to when to use epinephrine. I also strongly urge you to print this emergency care plan and post it in your kitchen where it is frequently seen and read. Watch tutorials and role-play with your trainer device. Show this great video to everyone involved with the care of your child. Have your allergist complete the Allergy & Anaphylaxis Action Plan and commit it to memory. Understand the possibility of fear and doubt happening during a severe reaction so that you can recognize this feeling and quickly overcome it during a reaction. Stop using antihistamines to prevent or reverse anaphylaxis. Stay up-to-date on all allergy and anaphylaxis material. I can only hope that by not fearing the needle and by having accurate up-to-date information that deaths from anaphylaxis will drop. One is too many. Please do your part in educating those around you by sharing the Emergency Care Plan by FARE that is posted above, by watching the How To Use an EpiPen® video, and by sharing the tips provided. Also forward this information by email, Facebook, and/or twitter by selecting the correct button below or by copying and pasting this link. And don’t forget! 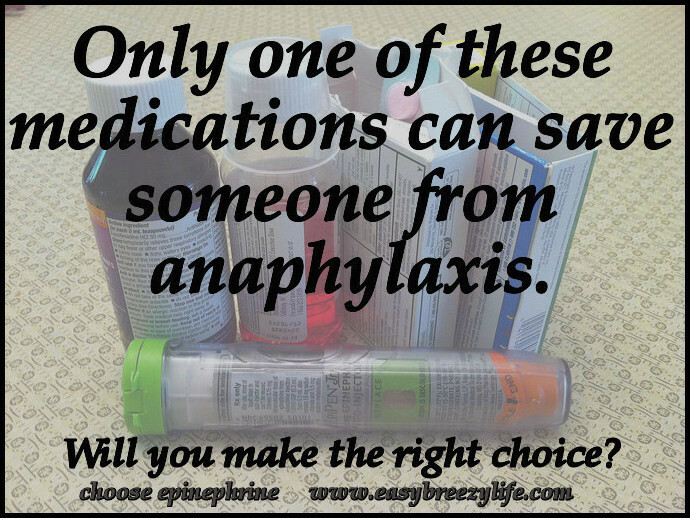 Choose Epinephrine! Many of these topics were discussed at the Mylan Specialty Blogger Summit. 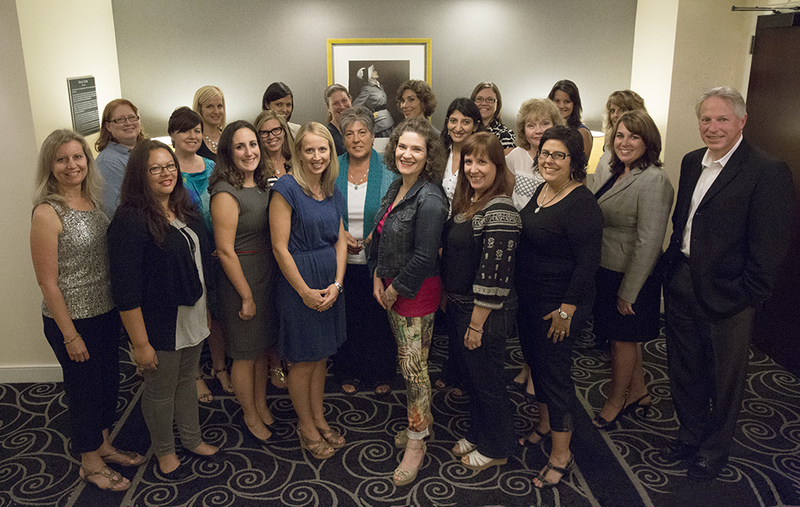 The summit, held at The Strand Hotel in New York City, was a two-day educational seminar including some of the top food allergy & anaphylaxis bloggers, cook book authors, social media experts, doctors, and people from FARE, AAFA, AANMA, NASN, and KFA. What is Anaphylaxis and Epinephrine? – What happens inside the body during an anaphylactic reaction. My Thought During an Anaphylactic Reaction – What was I thinking and how did it affect the outcome? Get up to $100 off EpiPen 2-pak – Get the latest coupon! –I disclose in any communication made by me about EpiPen® (epinephrine) Auto-Injector and/or the Mylan Specialty Blogger Summit that such communication is at my own discretion and based on my own opinion. I also disclose that my travel expenses were compensated by Mylan Specialty in exchange for evaluation and feedback on information presented during the meeting. heart disease or are taking certain medicines that can cause heart-related (cardiac) symptoms. lasting side effects when you take the EpiPen or EpiPen Jr Auto Injector.